As I watch the Olympics this week, and see how many young athletes are working so hard to win, I cannot think about how hard they worked in the process of preparing to win. They had a goal, and they were focused on working for it. All around me I see people who seem to be waiting. They are wishing to win, waiting for it to arrive . LIke it is luck that is going to knock at their door and come in and say “hi, I am here”…. like it will arrive at your doorstep like a guest long over due. But that is not how most of the successful people have gotten where they are. Yes they are expecting to win…but through their lives they have been investing in the success. They aren’t shy. They have been willing to compete. Which means they have been equally willing to lose and personally own the loss. They do not blame others for the position they are in, they accept the consequences and make course adjustments to assure that the next time makes a difference. I have had friends that are always expecting to win… but some of then act like they are looking for divine justice, like there is someone waiting there who is going to hand it to them because ultimately they think they deserve it. In the end, the true winners seem to know how to be celebrating the win. They are not wallowing in it. They are soaking-in the win and moving on to more, they are not staying in place and seeking constant approval and adoration. They are finding the next step on the path to winning. Sure, winning isn’t everything – but it isn’t a bad place to be. Feels good. You have to admire the people who make it all the way to the Olympics. For the most part, who ever makes it deserves it, They worked hard and stayed focused, they earned it. How hard was it to earn the privilege to compete in the Olympics. In some way they have fought to be there. Much like in professional sports, so very few make it to the pinnacle of the sport to be called out to represent the excellence that the sport of choice represents. So for most of us, individually we win in life when we reach a goal and find ourselves in a position to win. We look for confirmation, and we acknowledge that we are made with the desire to win and succeed. Some times it is our own personal success, and others may not even know we made it so. How many of us end up wishing we could win, wishing we could succeed in something but really don’t choose to even start to play? Dont wait. Start now. The race is long and success is in your grasp. 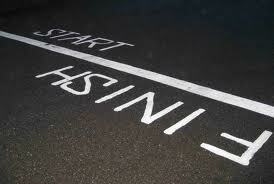 You have to start to begin. I tell my friends (those who will listen) that if they have children, introduce them to sports and entertainment. Help them along. The world loves sports and entertainment, and that’s where the big money is.